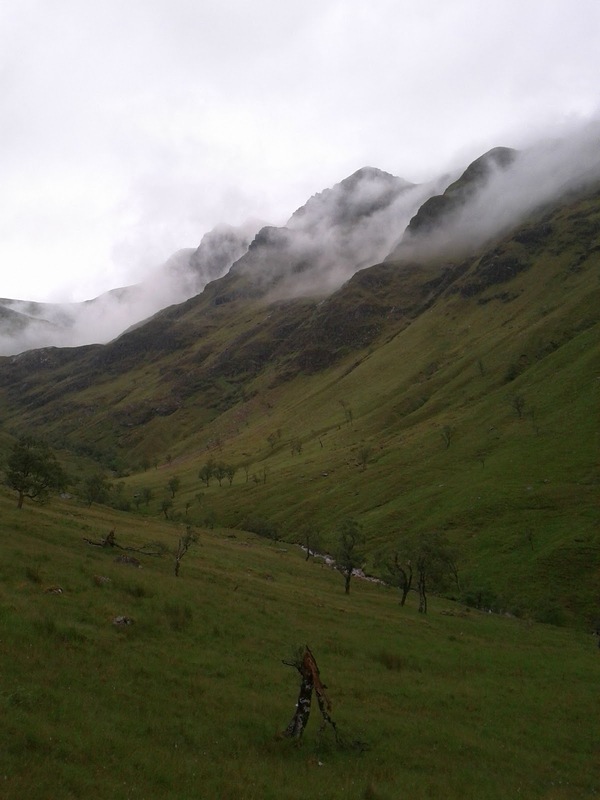 It was maybe the heavy, broiling, broody mist hanging over Coire Mhusgain en route to Stob Ban on Sunday that made me think of a land where prehistoric animals and other supposedly extinct creatures still survive. Or it was maybe the fact it was the height of the marching season in Lanarkshire. I nearly fell for that. It becomes instinctive when you've lived in Airdrie for a while.